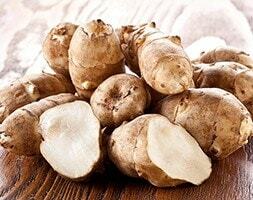 We sell potatoes by weight but you can expect to receive about 25 tubers of this variety in a 2kg bag. 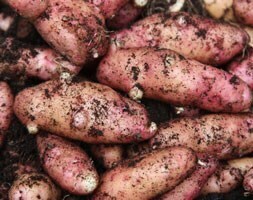 Please be aware that the skin colour of the potatoes you receive may not be as bright as those in the photo. That's because their skin colour fades when the potatoes have been out of the ground for a couple of weeks - and the potatoes in the picture had only just been lifted. 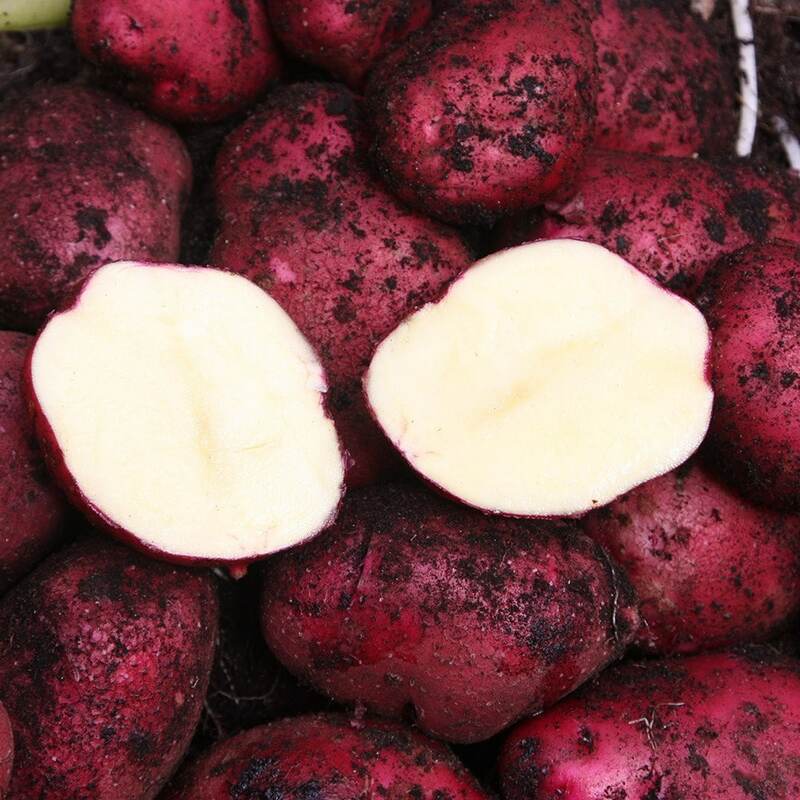 A Heritage early potato variety bred in 1942. This potato has a wonderful strong flavour and is a great all rounder - can be roasted, mashed, baked or used for making chips. 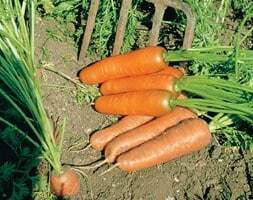 Has deep red skin and pale yellow floury flesh, more vigorous with larger tubers than Duke of York.